Ask yourself “What is a step up from a Platinum Preppy?” - Enter, the Platinum Plaisir. Straight out of the box, this is a fairly smart looking pen. It is a cigar shaped aluminium body with an anodised blue finish. 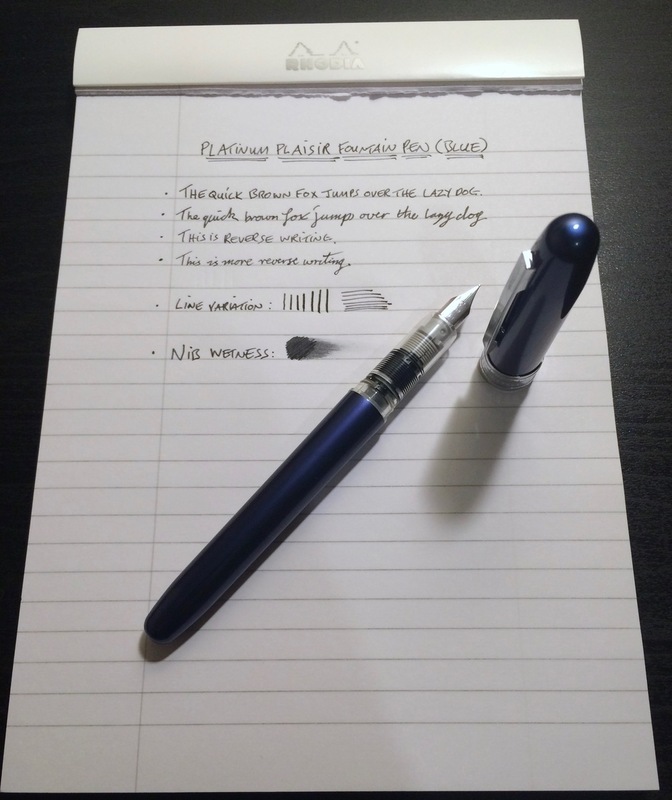 This gives the Plaisir a smart but durable look whilst also making this a light fountain pen. The only slight knock I can give to the appearance is the silver band that sits at the bottom of the cap. For me, this is way too big and doesn’t fit in with the overall design. The clip is fairly stiff but serves its purpose well. 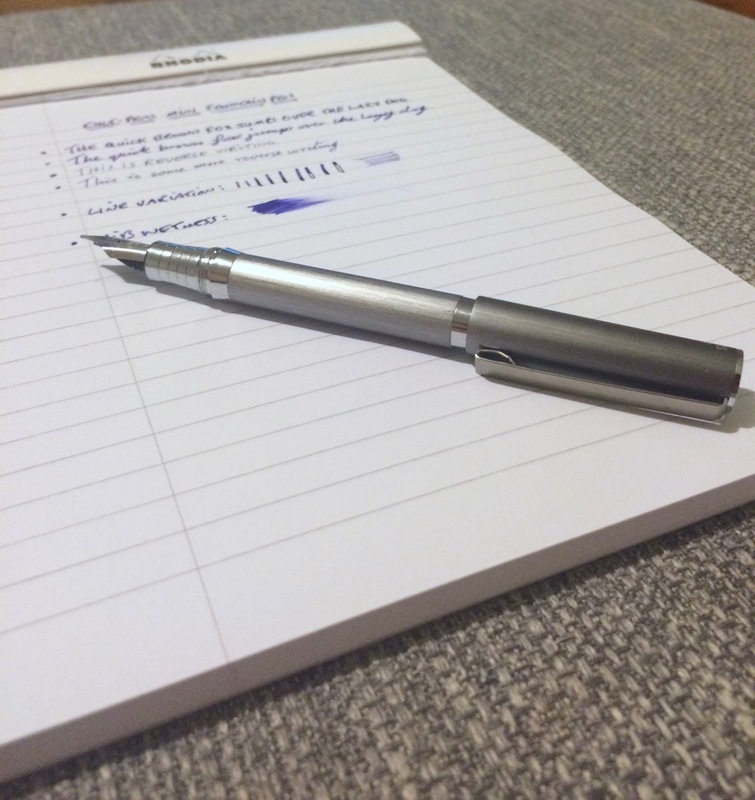 Like the Preppy, the nib section is a clear plastic that whilst being smooth, actually provides a comfortable surface that offers a fair amount of grip. 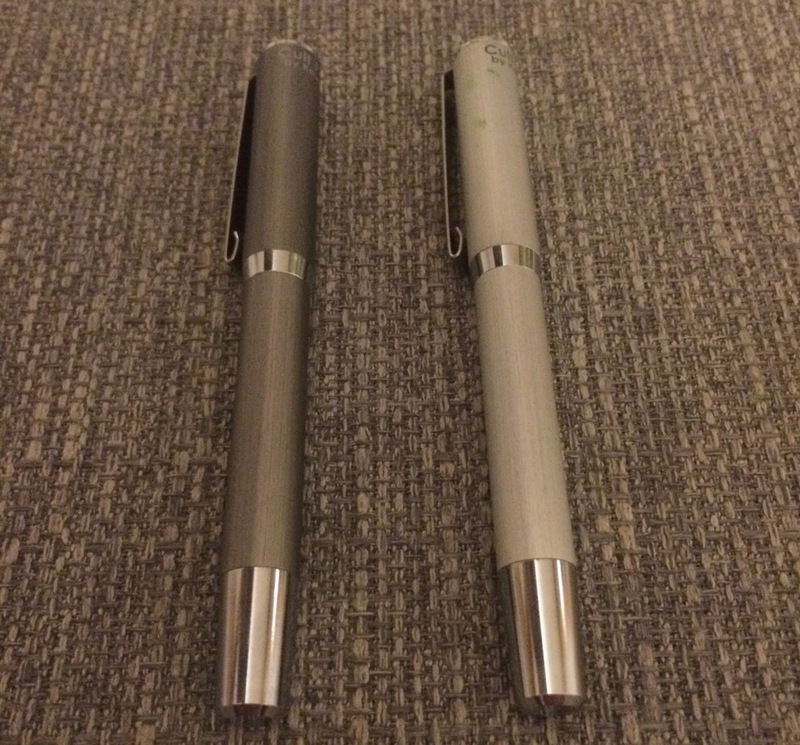 The nibs offered are Medium (0.5) or a Fine (0.3). I went for a Fine and for the most part, this has been a fairly enjoyable experience. When I first started writing, I did find the nib to be really scratchy and not that enjoyable. Over time however, the scratchiness has settled down. This is a Japanese fine which means it lays down a very thin line (Would be a lot finer if compared to something like a Lamy fine nib). For a fairly stiff nib, it does offer a small amount of line variation and even when pushing it, not once did it ever rail road. The standard filling mechanism is Platinum cartridges that can be upgraded via the separate purchase of a Platinum International Adaptor, which enables you to also use standard international cartridges. 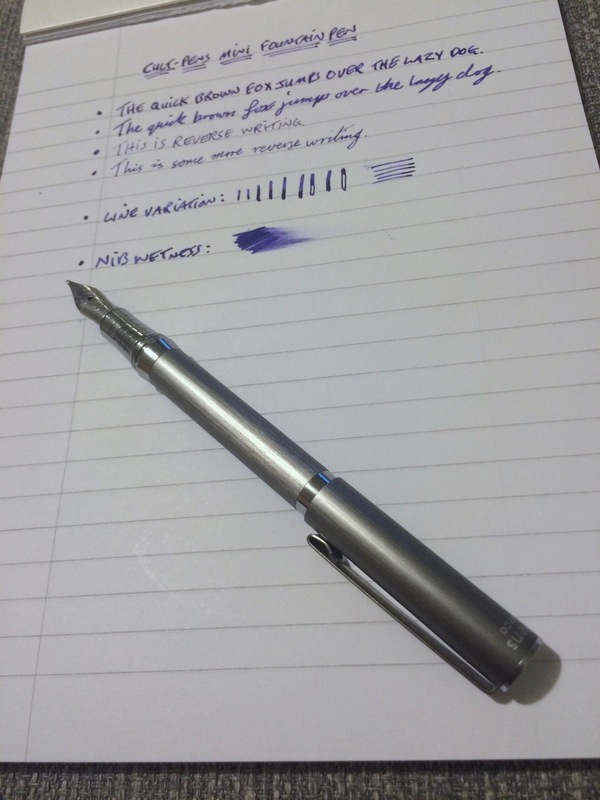 For the price (roughly £9-£10), its a pretty good pen that could be a good option if you are thinking of a Safari but would like a finer line.